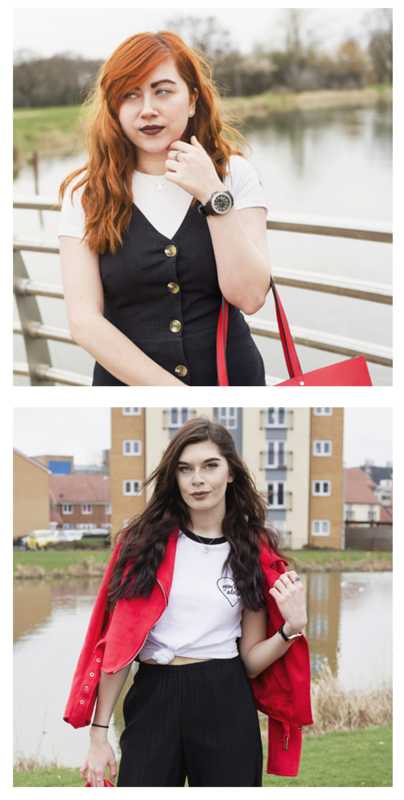 We’re Lauren and Rachel, two sisters from England, who decided to set up a blog where we can express our views and opinions on different products/clothes/foods etc. As we both have busy schedules when it comes to juggling going to work, university and the stress of coursework, we decided that we would use a blog as an escape from a world of stress! I’m Rachel, the younger sister and I study photography at University. A big hobby of mine is photography (obviously) and I take and edit all of our blog photos. I also know my way around Photoshop and design all of our stuff on here! I love Disney and Marvel and I enjoy watching wrestling. Some things I enjoy doing when my coursework is done are baking, scrap-booking, drawing and of course blogging! I’m Lauren, the oldest but littlest out of the two of us! I have just finished my degree in Sports Studies and am currently waiting to start Teacher Training in September. I love reading, baking and scrap-booking in my spare time. I’m a huge fan of Disney and Belle is my favourite princess, I also love rock/alternative music and TV shows such as iZombie, TWD and GOT!